Displays - C&B Display Packaging Inc. Inspired by real customer needs, executed with industry leading design and manufacturing. 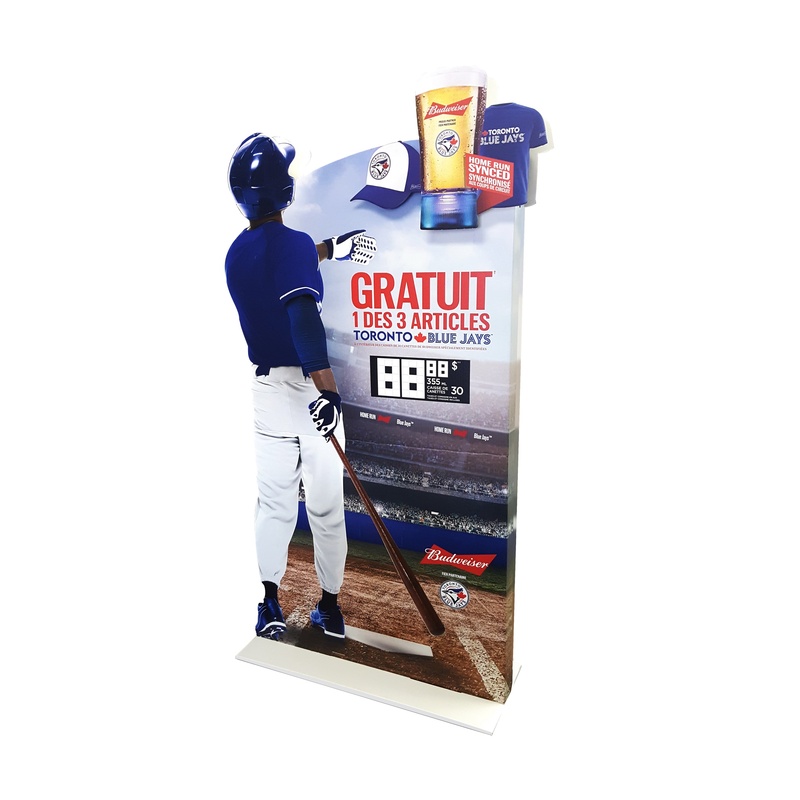 Do you have a custom display need? 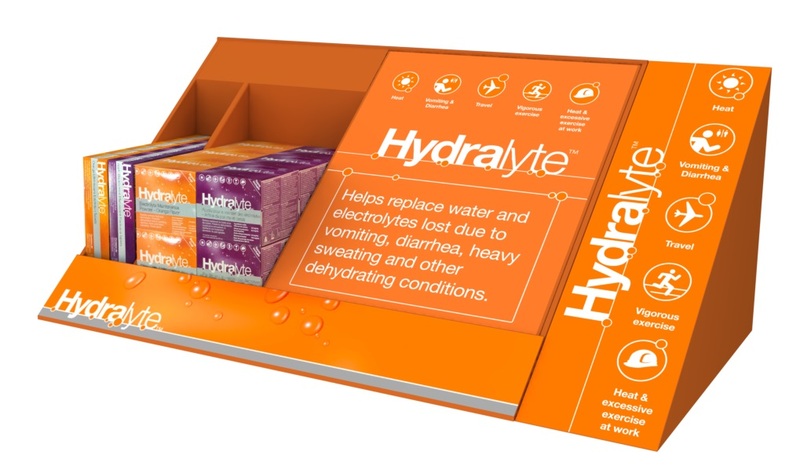 Client Objective: The client was looking for an innovative way to launch their new advanced blood glucose monitoring system using a corrugated floor display which also showcased the product. View featured product video. 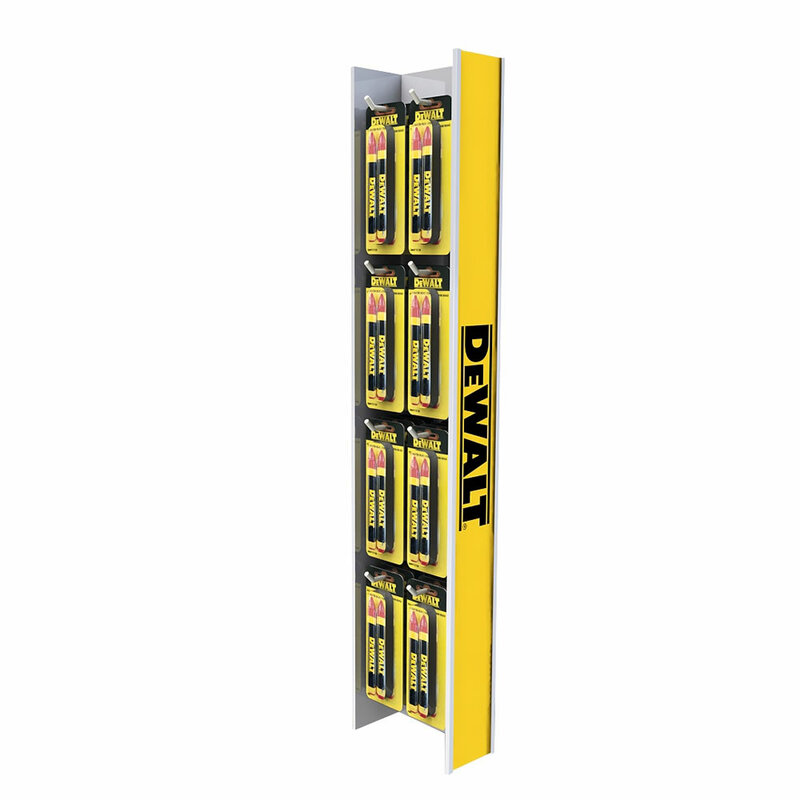 Design Concept: Our initial design concept incorporated a battery powered video display unit directly into the header of a custom floor standing display unit. 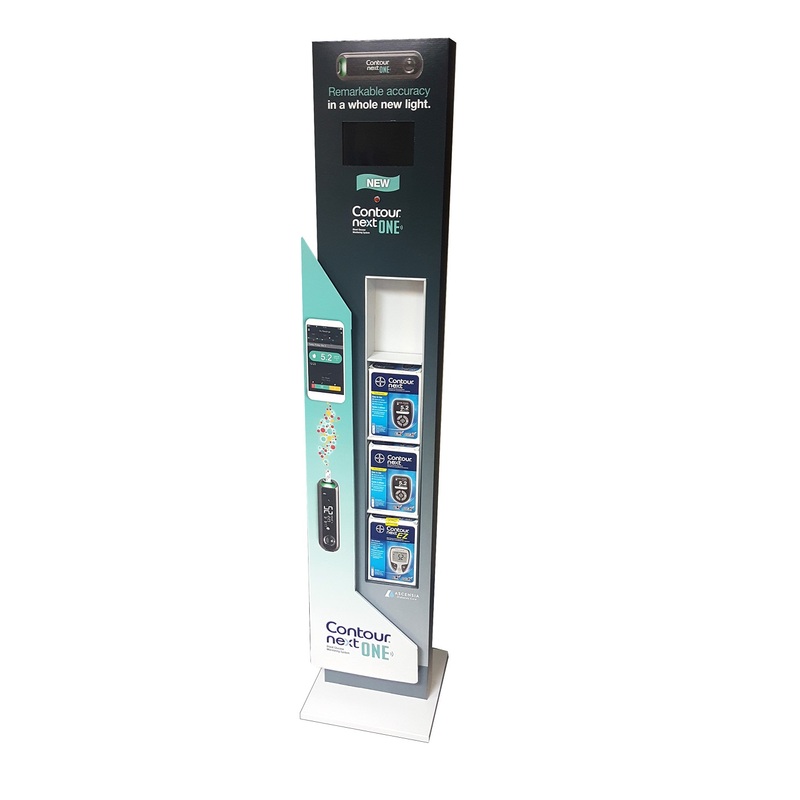 Final Product: The final product included high quality graphics, stand alone POP floor display that included a video display unit that showed a 60 second marketing video along with a selection of the product. 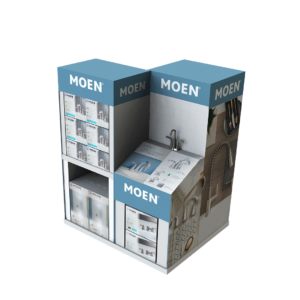 Client Objective: The client needed a full pallet corrugated floor display for select big box stores that allowed for the installation of the actual faucets and taps being sold. 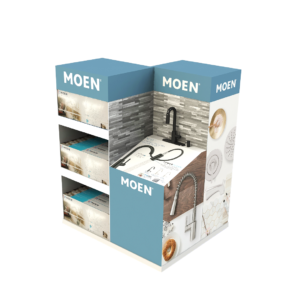 The display also needed space for two different products and could be easily assembled and shipped. 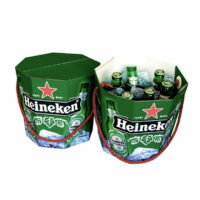 Design Concept: C&B designers developed three concepts – a 2 sided version, a 3 sided version and 4 sided version. The client selected the back to back version with graphics that looked like a kitchen with backsplash and a bathroom with a tile backdrop. 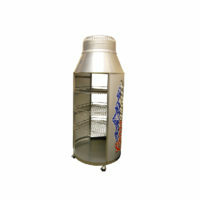 The design provided the proper internal support to allow the product to be mounted directly in the display. 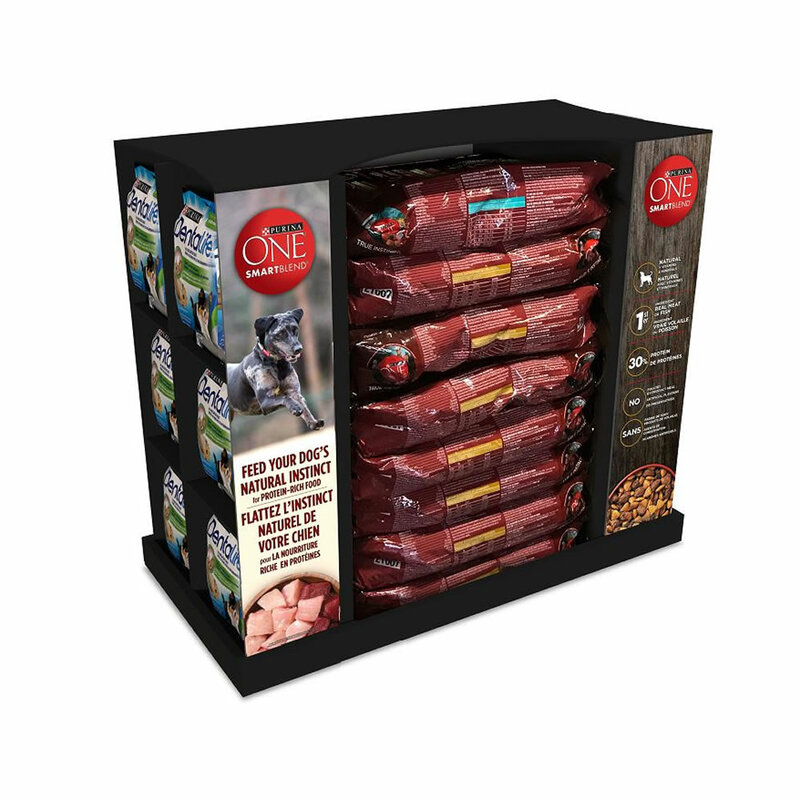 Final Product: The final product incorporated distinctive high impact graphics of both products plus shelf space for two dozen products on each side of the display. The display was shipped fully assembled with product and protected by a custom shipping shroud. Client Objective: The client required a floor display that stood out in the retail environment and emphasized the high end features of the product. The display also need to look like the product being sold. 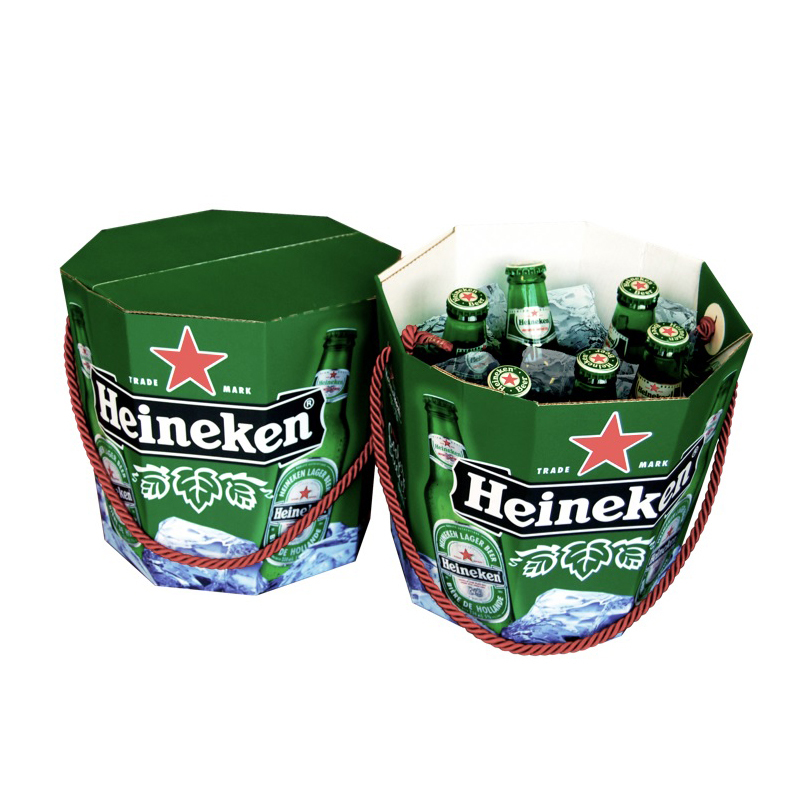 Design Concept: The unique design needed to attract attention of the consumer with high quality graphics and include the actual product in the display. 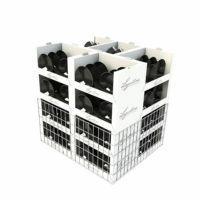 The display need to be easy to assemble and shipped knock down with the product. Final Product: The final display looked like a lock and incorporated 12 units in the face of the display. 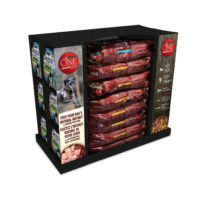 A custom shipping container was designed to support the product and the display components during transport to the store. 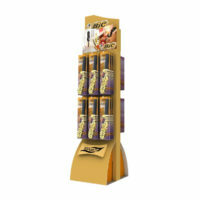 “Pretty darn quick” displays come in a wide variety of styles and are designed around the product. They are quick and easy to setup. PDQs help drive impulse purchases at the register with an average sales improvement of 21%. 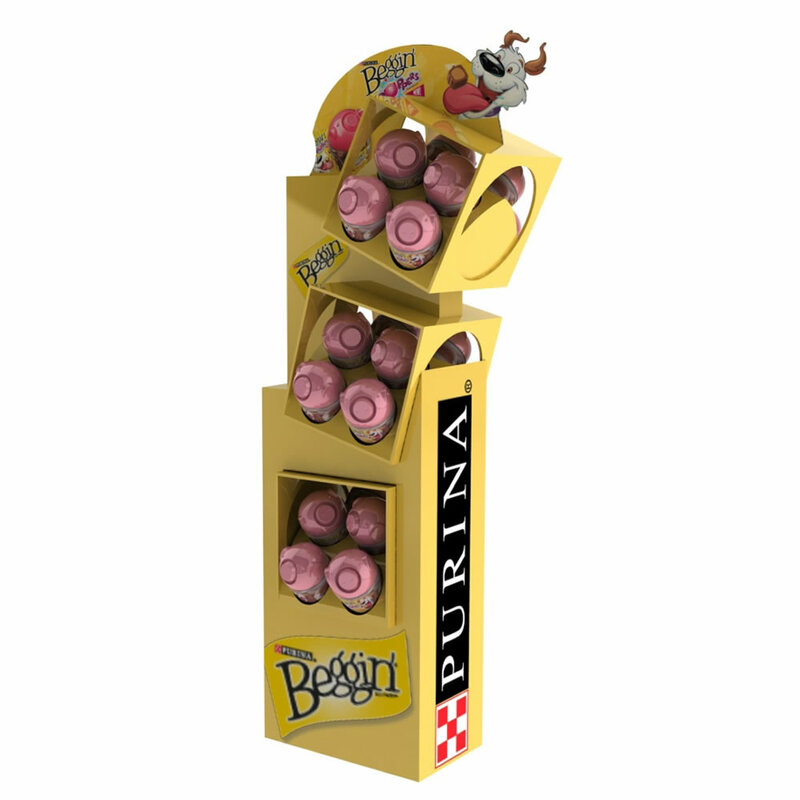 Floor Displays are custom designed for the retail environment. They are perfect for Point of Sale (POS) promotional merchandising and incorporate high quality graphics. 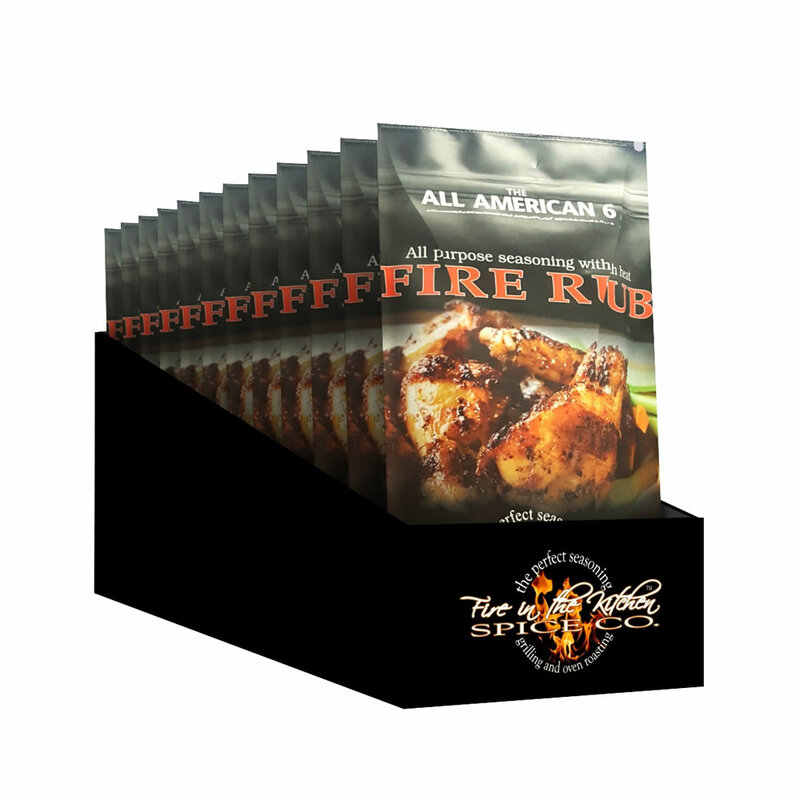 C&B’s design team can create a structural sound custom floor display to meet all of your branding and product needs for any marketplace. 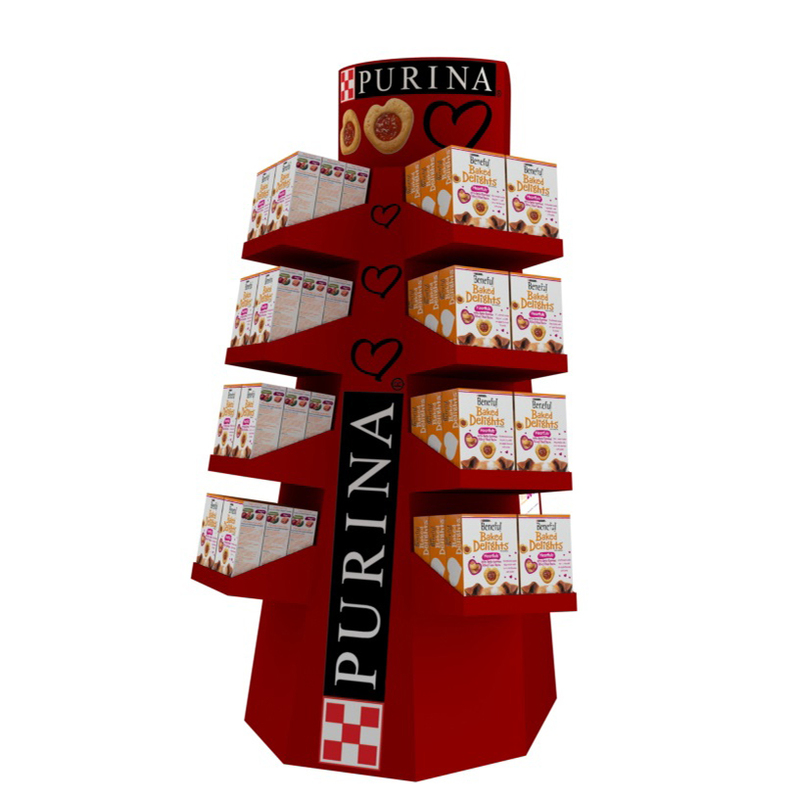 Full, Half and Quarter Pallet Displays are designed for the club / warehouse stores and are proven to increase sales by as much as 70%. 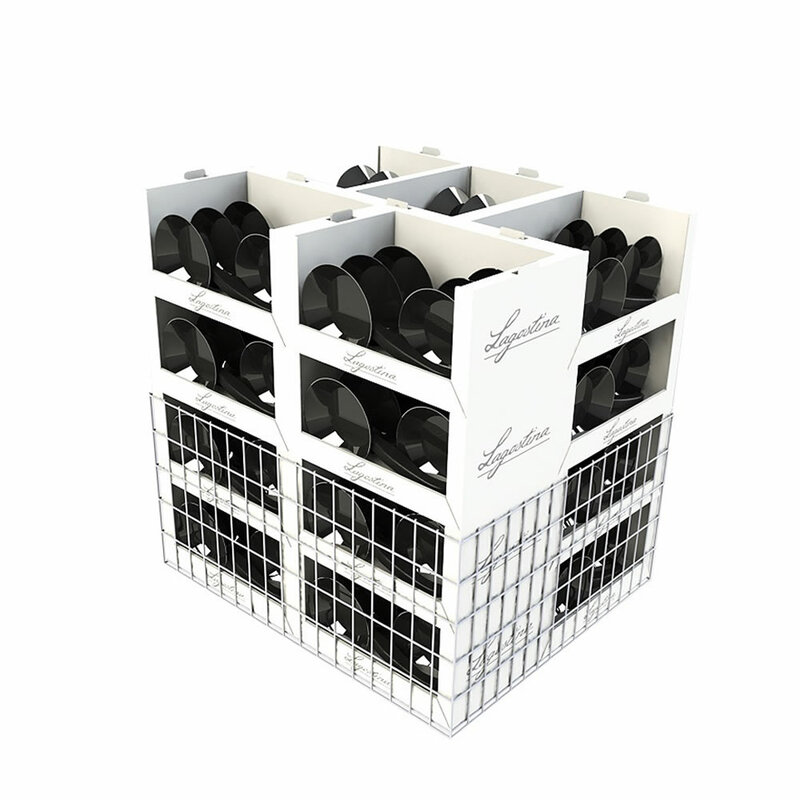 C&B offers everything from simple corrugated high-quality graphic “pallet skirts” to the complete structural pallet displays including graphic panels, merchandiser trays and interior support structures plus the appropriate shipping container. 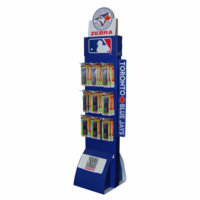 Endcaps, Power Wings and Side Kick Displays are used in prime retail locations and gets your product noticed. 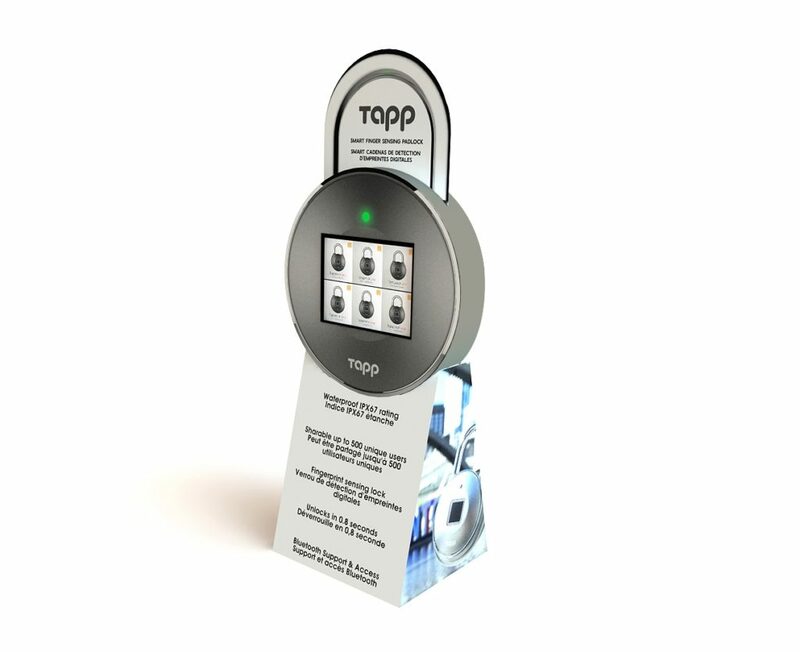 These displays have a 77% improvement in retail lift rates. 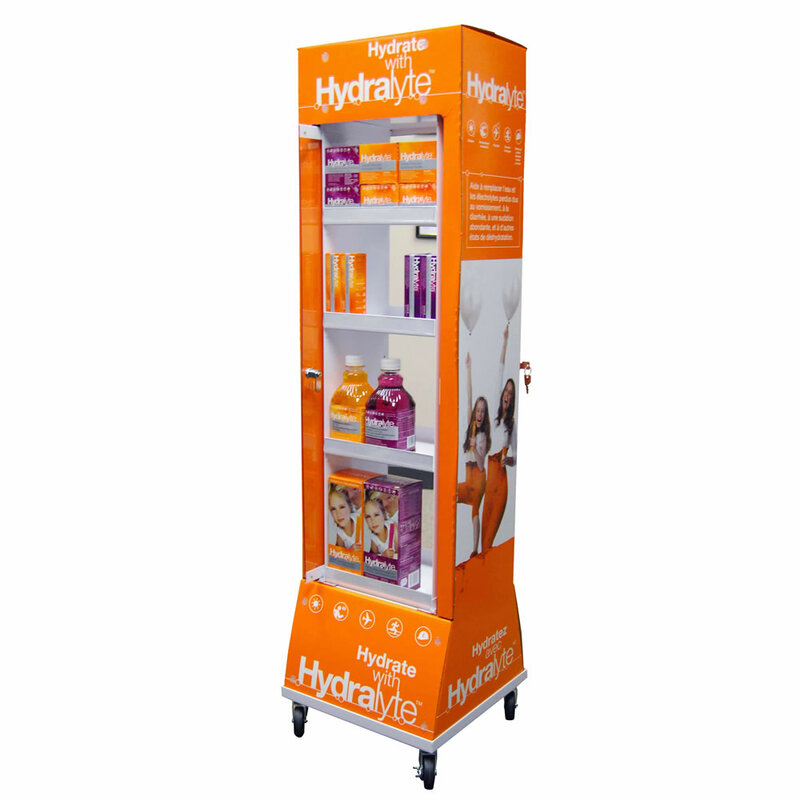 Properly executed displays can make a huge impact on shoppers and can be pre-packed for easy setup in the store. Dump bins are commonly used POP displays for the beverage industry for soft drinks and energy drinks as well as beer and wine displays. 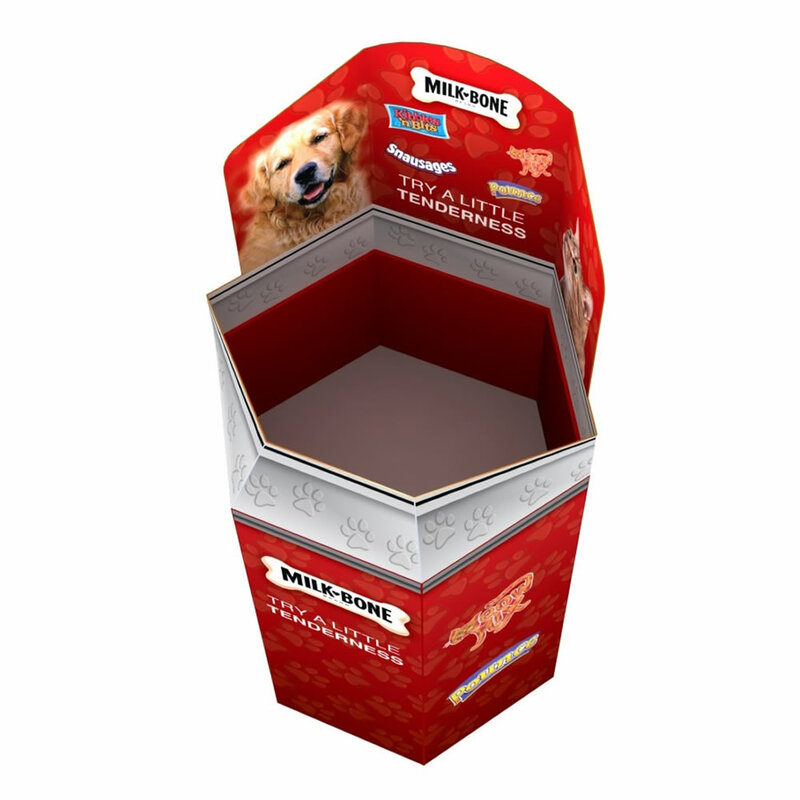 Dump Bins generally have the product in the bin and have high impact graphics printed on the outside to draw attention to the product being displayed. 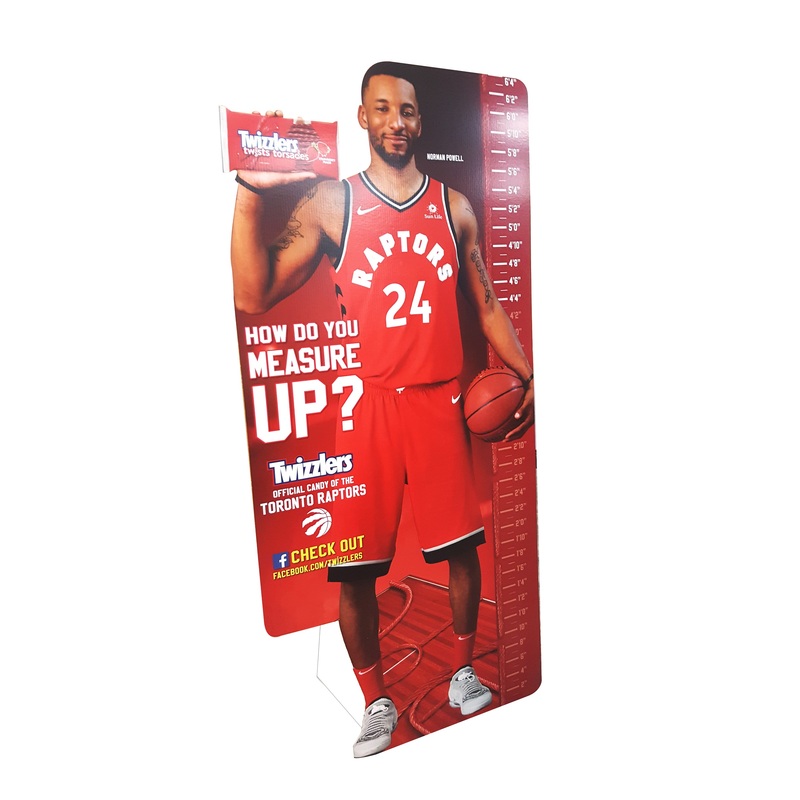 Pop-up displays feature real eye-catching graphics to stand out in the retail space. 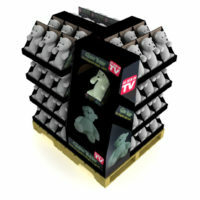 Generally, they feature celebrities from film, TV or sports and can be full life-size. 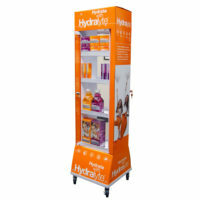 Permanent Displays are manufactured from materials other than corrugate, so they can provide a long life on the retail floor. 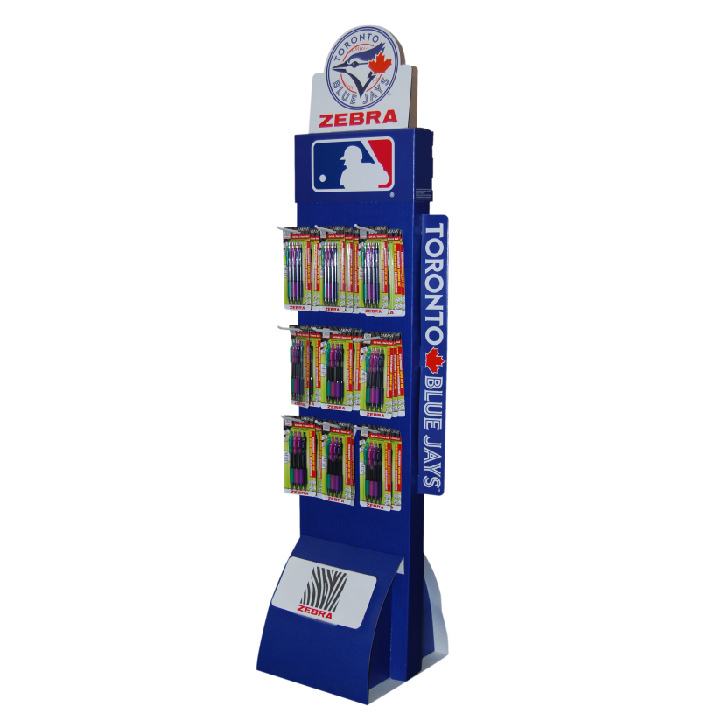 The permanent materials like steel, wood and plastic provide durability and protection for displays that are placed in high-traffic retail environments. 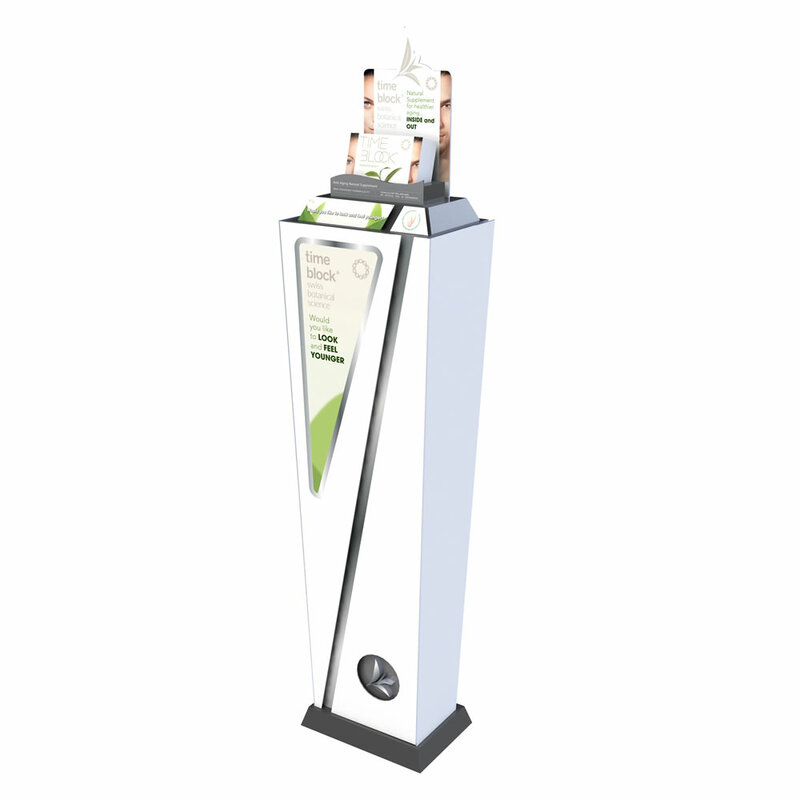 Generally, permanent displays work well for luxury products as they convey a high end look and feel. 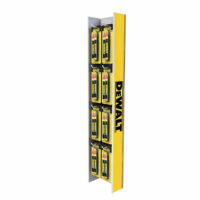 Semi-Permanent Displays are constructed for more durability than temporary displays and have a typical life of up to six months. 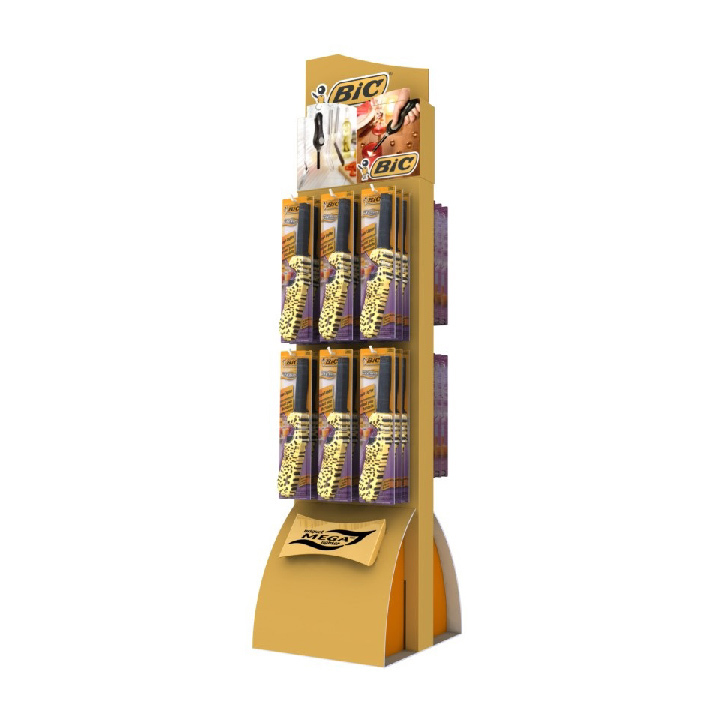 These displays can generate ongoing sales through multiple replenishment cycles, for a reasonable per unit investment. 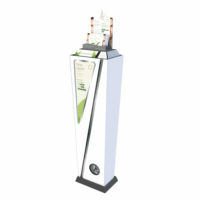 You can find C&B displays at the following Major Retailers.